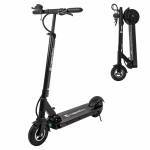 Electric scooter, sturdy folding structure, powerful engine suitable for urban riding. E-scooter inSPORTline Saturian is one of the best e-scooters on the market. The maximum speed of the scooter is limited to 25 km / h, allowing you to use the scooter on the road. Up to 45 km / h can be reached after shutting off the limiter (see manual). The 600W engine allows high acceleration. With 1300 revolutions this scooter is perfect for driving on asphalt pave. Assembled on the rear wheel, the DC motor does not need maintenance. The e-scooter has a load capacity of up to 150 kg. The E-Scooter inSPORTline Saturian is ideal not only for riding on even roads but also for riding at 10 ° slopes. The scooter weighs only 19.5 kg (thanks to its lightweight aluminum frame). 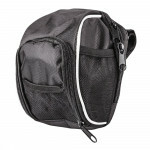 You can also fold or expand it in no time, making it easy to carry and store. The 15Ah lithium battery lets you travel 58 km on a single charge (the battery is charged to full capacity for 6 to 7 hours). As a result, you can use the trolley more than once before recharging the battery. You can easily charge the battery with the compact charger that you can take anywhere. 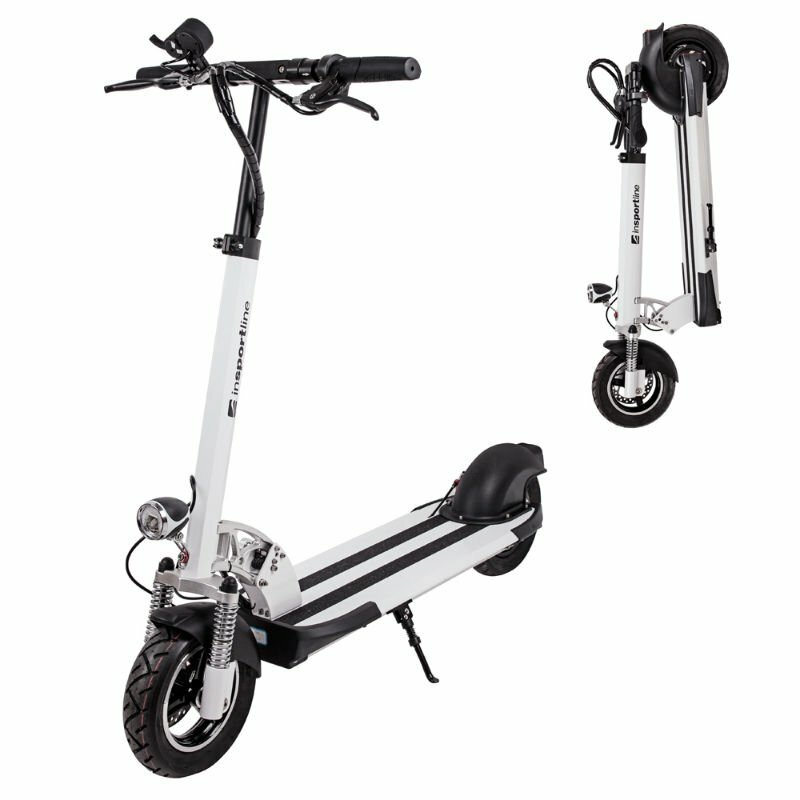 The adjustable height of the handlebars (84 - 115 cm) determines the E-scooter inSPORTline Saturian suitable for both children (10+) and adults. The easy-to-read color display lets you track all important information such as current speed, battery status, current distance, total distance and time. In addition, there is a USB port on the display that you can use to recharge your mobile phone. The E-scooter inSPORTline Saturian is of the highest quality. The combination of 10 " inflatable wheels with high-quality tires and suspension ensures excellent features. The two disc brakes ensure reliable safety even at high speeds. In addition to the front and rear lights powered by batteries, the E-scooter InSPORTline Saturian also features a brake light that comes on when the brake is activated. When using the rear indicator lights, you can signal to change the direction. You will certainly appreciate the loud sound of the horn. Both mudguards protect tires against adverse weather conditions. The large step surface adds comfort to long-distance riding. The handlebars have wide, soft and ergonomic grips. 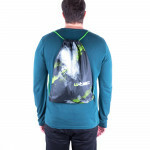 WORKER protectors for in-line skating and skateboarding with AIR-Syste.. 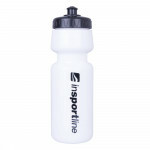 Simple bottle for multipurpose sport and outdoor use, thin part of the..
Handlebar bag, practical accessory, suitable for storing personal docu..
Universal sport gloves made of high quality materials suitable for cyc..